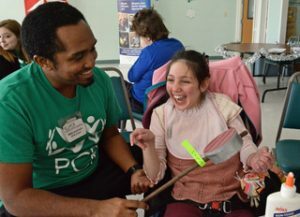 Potomac Community Resources, Inc. (PCR) promotes the full inclusion into community life of teens and adults with developmental differences by providing over 35 therapeutic, recreational, social, educational, and respite care programs. 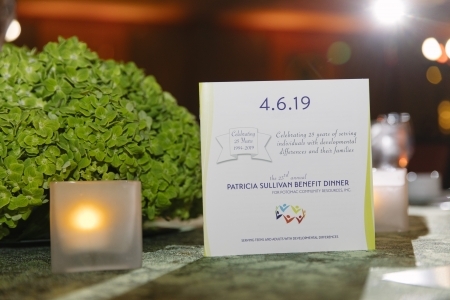 The 23rd annual Patricia Sullivan Benefit Dinner was a big success! Many thanks to all of our generous supporters. To see photos of the dinner, please click here! Our Spring 2019 programs are well underway. There are still some openings, including in our popular fitness programs, YogaVentures, and A.C.E. (Aerobics, Core, Exercise). To register online, please click HERE. Please note that online registration requires full payment with a credit card. 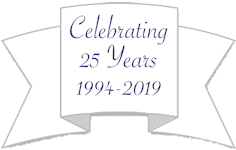 If you prefer to pay by check, need financial aid, or are using other funding services, print out registration form by clicking HERE and send by mail. Thank you to everyone who attended PCR’s Annual Beach Party on Saturday, March 16th. To view Beach Party pictures, click HERE. To read a heartfelt tribute to Jim Sullivan written by Chuck Short, please click on “Mountain of Work” (10/18, Our Parish Times). MD Developmental Disabilities Administration (DDA) Educational Webinar Series, Tuesdays from March 19th through April 30th, from 12 noon to 1 PM. Webinars are geared to all stakeholders, and will include an overview of the DDA’s service delivery system, with opportunities for questions and answers. For more information and to register online, please CLICK HERE. “Come On, Let’s Sing!”, a summer mini-camp for adults who like to sing, offered by Levine Music at Strathmore, and taught by NoteAbles instructor Emily Bruestle, Monday through Thursday, August 12th through 15th, 5:00 — 6:30 PM. For more information, CLICK HERE. Please note: These are not PCR events. Contact sponsoring organization directly if you’d like more information or to RSVP.